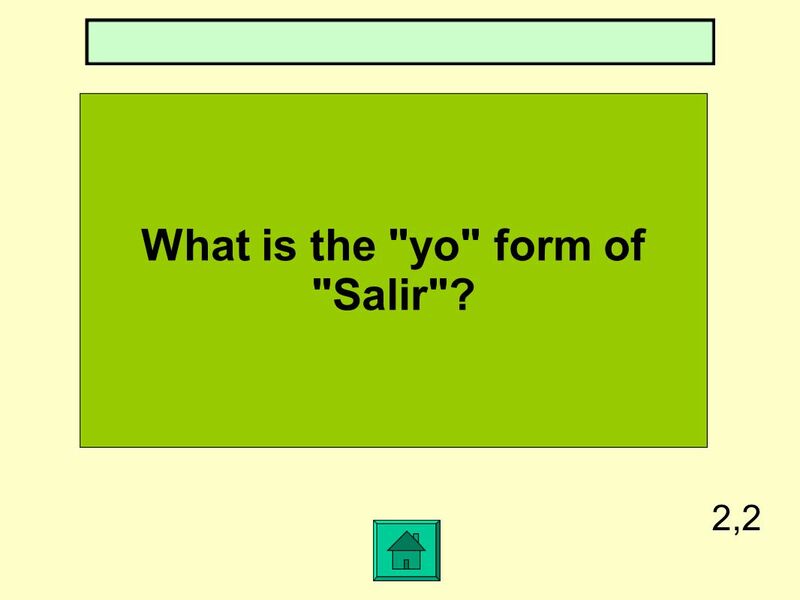 8 What is the "yo" form of "Salir"? 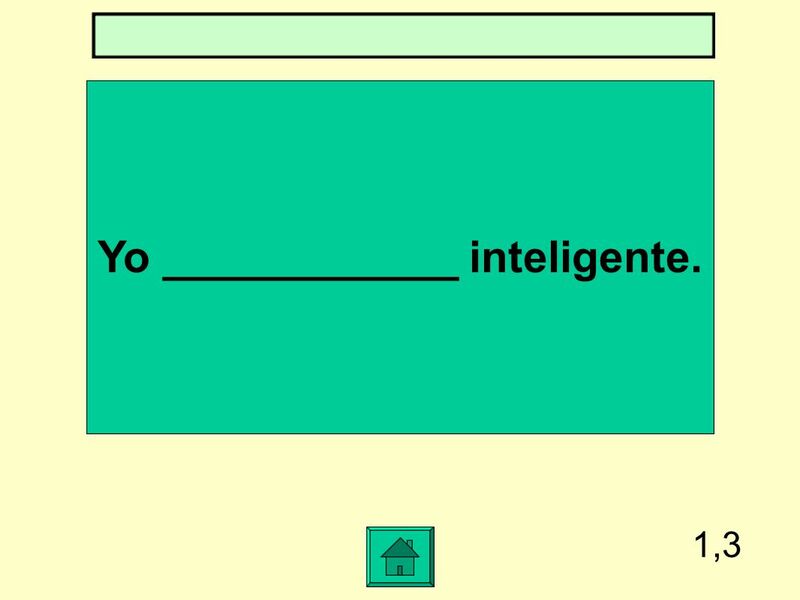 9 Mi padre _____ un doctor. 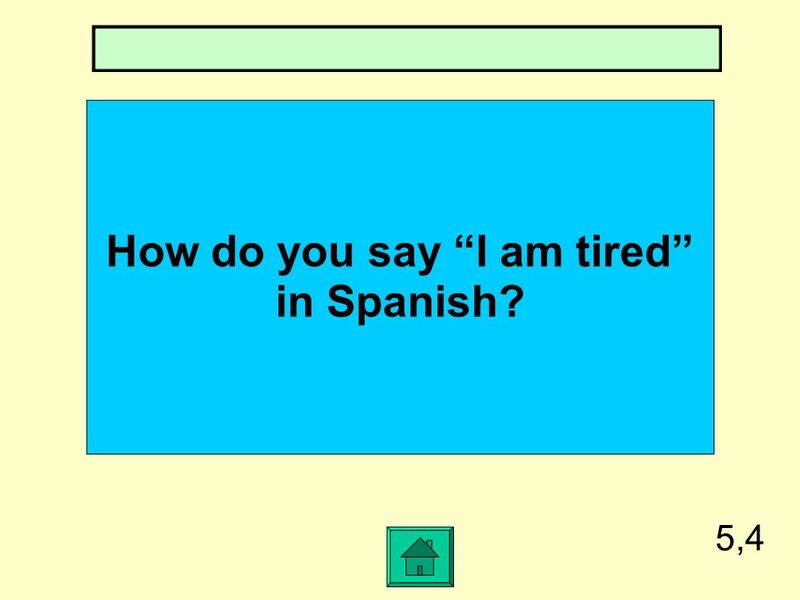 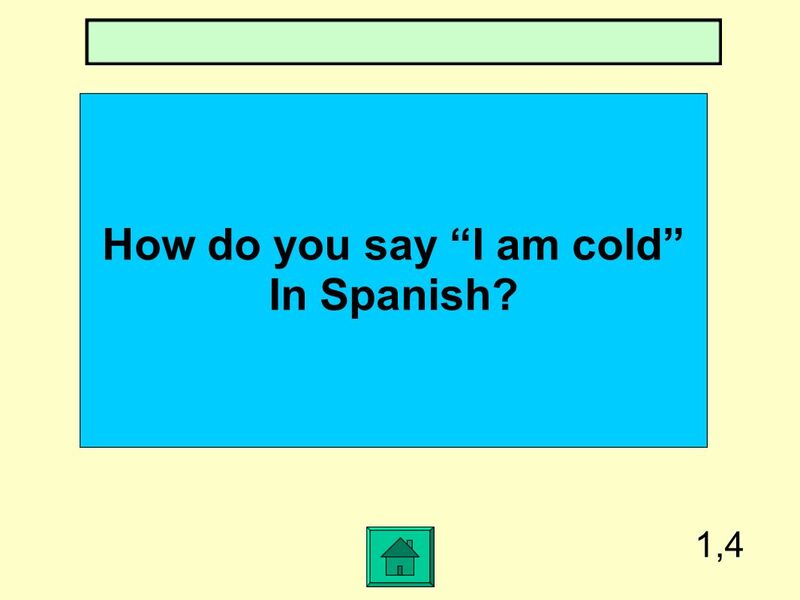 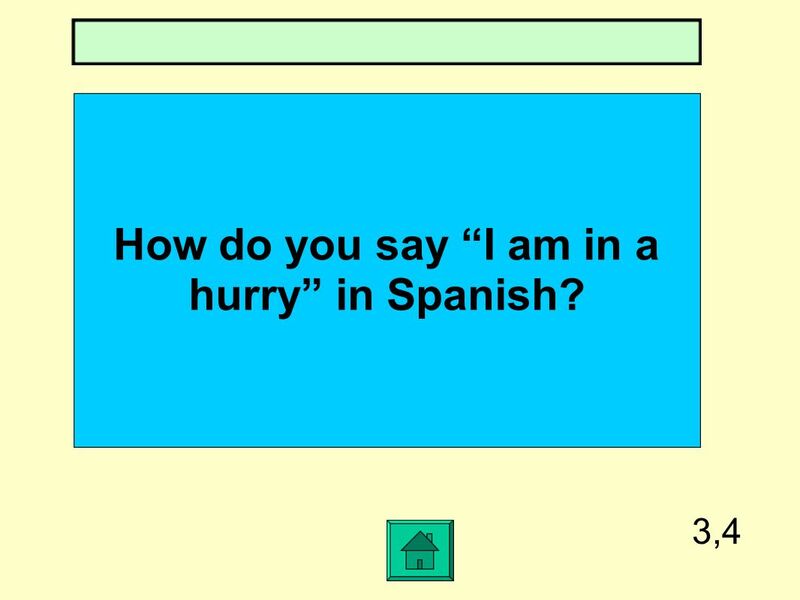 10 How do you say "I am thirsty" in Spanish? 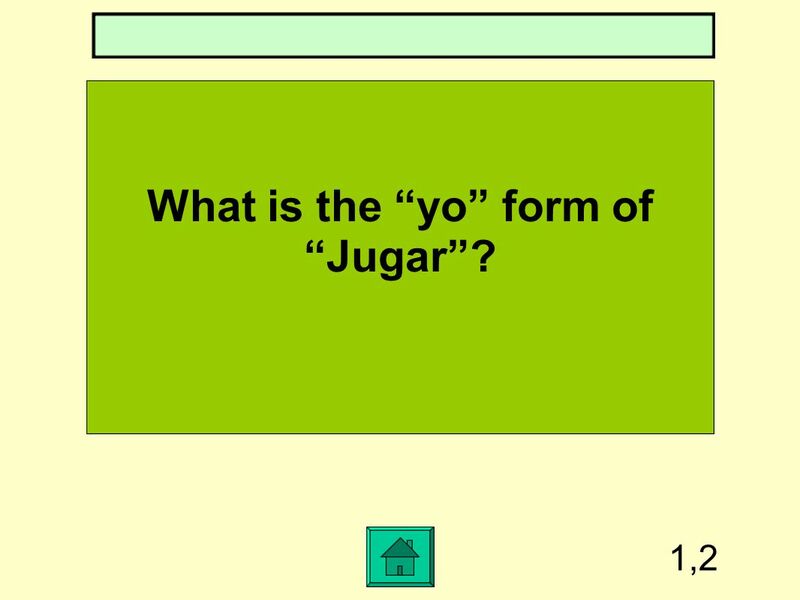 12 What is the "yo" form of "poner"? 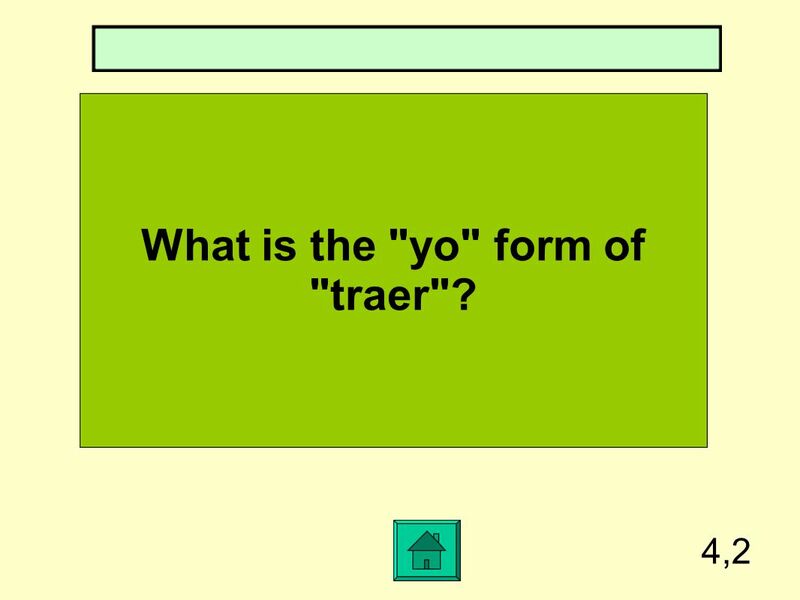 16 What is the "yo" form of "traer"? 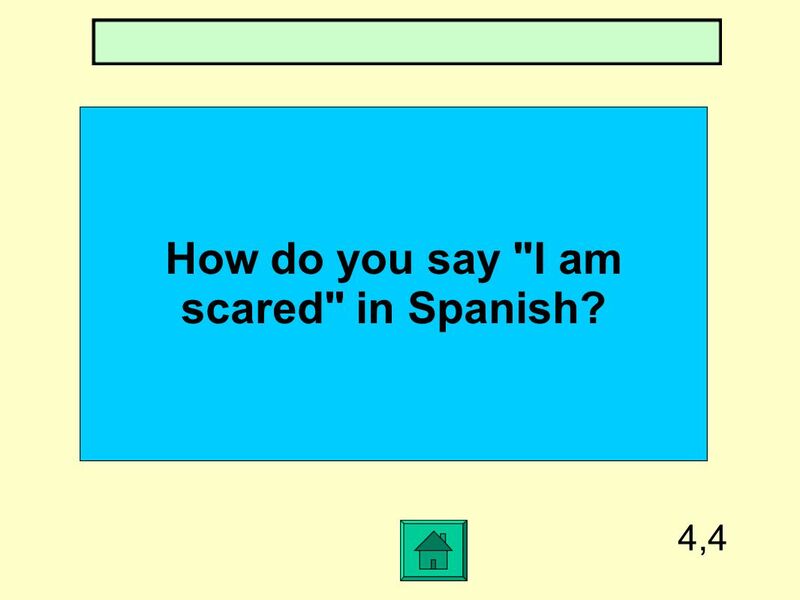 18 How do you say "I am scared" in Spanish? 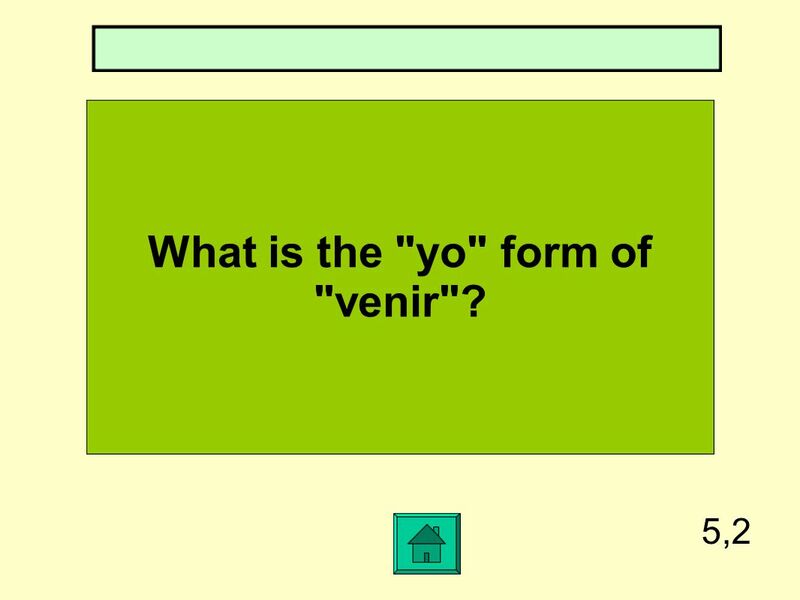 20 What is the "yo" form of "venir"? 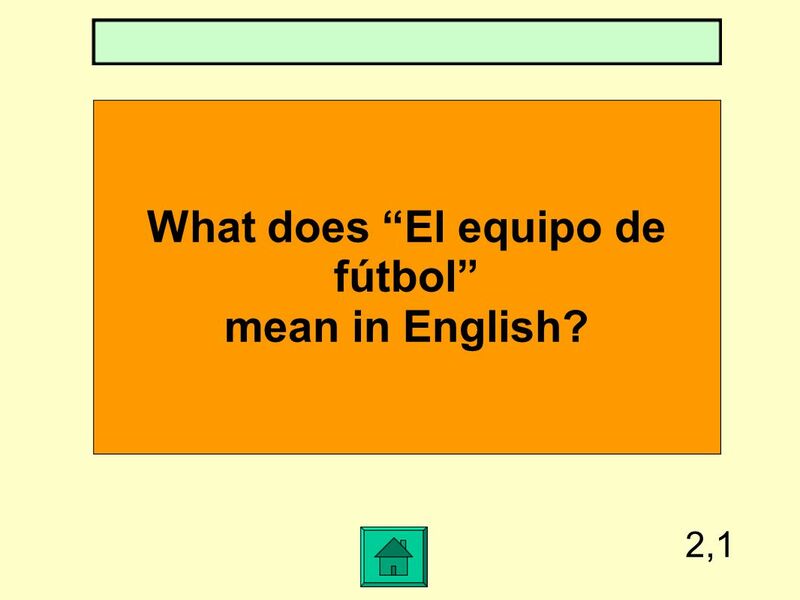 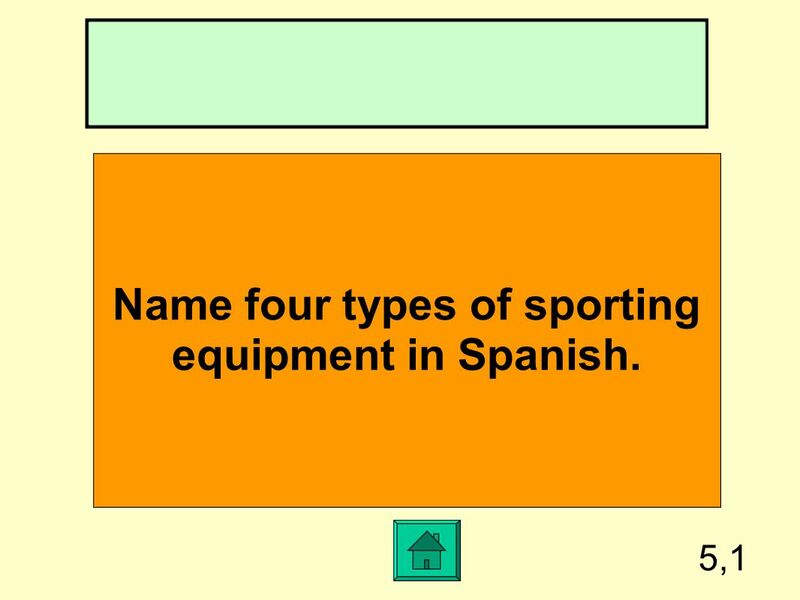 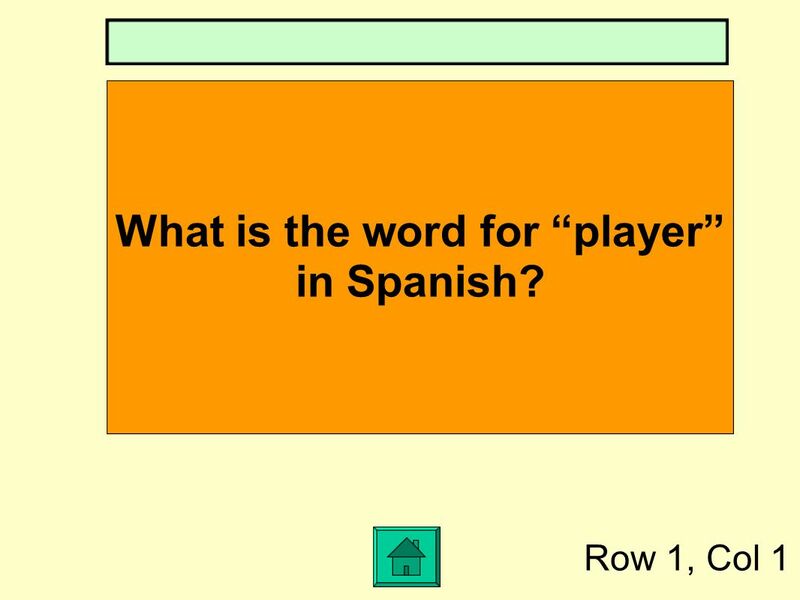 500 points 400 points 300 points 250 points 200 points 150 points 100 points 50 points THIS IS A QUIZ TO INCREASE YOUR KNOWLEDGE in Spanish. 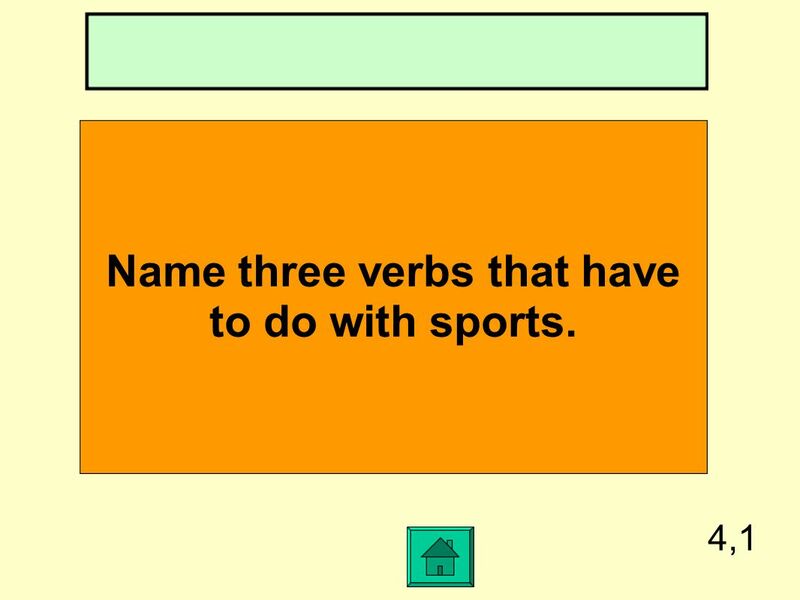 Jeopardy VocabSer/estarP or Isubjunctive S or I Q $100 Q $200 Q $300 Q $400 Q $500 Q $100 Q $200 Q $300 Q $400 Q $500 Final Jeopardy. 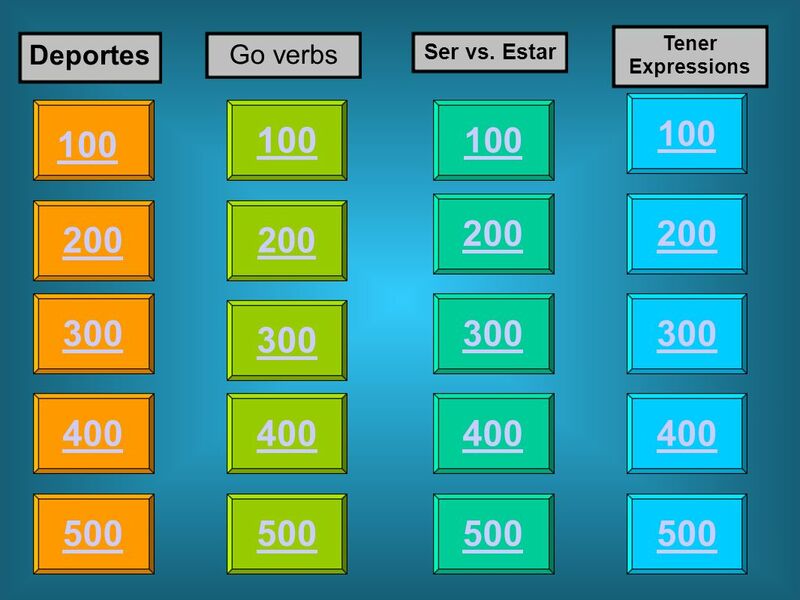 Jeopardy Vocab 2 Ser y Estar Exp + infinitive Regular preterite Irregular preterite Q $100 Q $200 Q $300 Q $400 Q $500 Q $100 Q $200 Q $300 Q $400 Q $500. 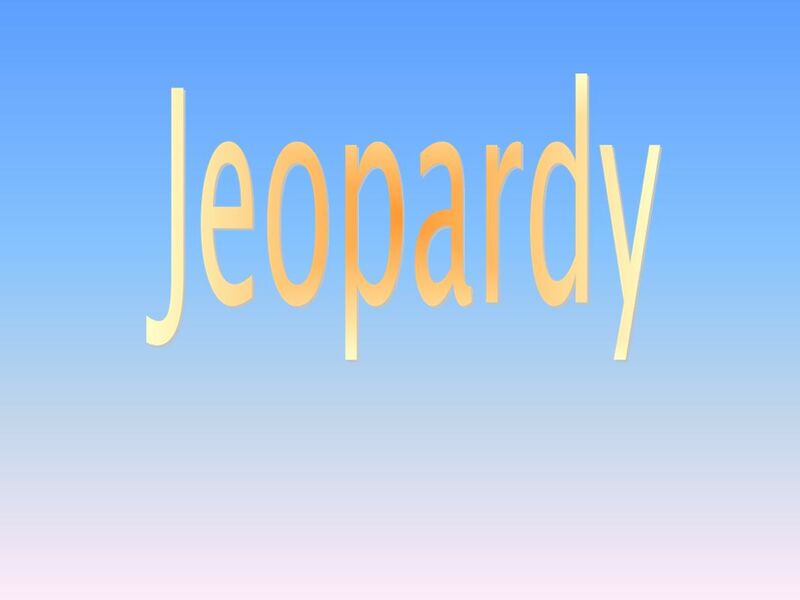 Jeopardy VocabGustarReflexivesIrregulars Idioms Q $100 Q $200 Q $300 Q $400 Q $500 Q $100 Q $200 Q $300 Q $400 Q $500 Final Jeopardy. 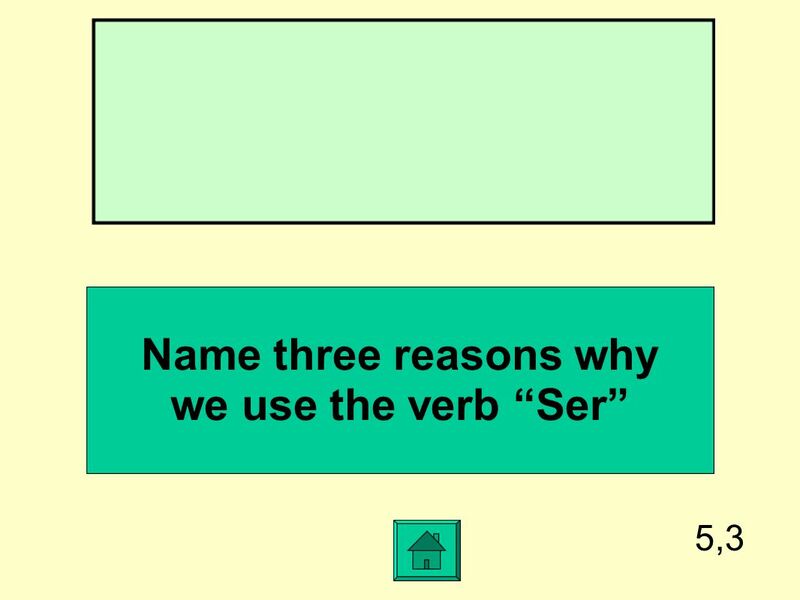 -”GO” verbs There are some verbs that are irregular in the YO form, with a stem change adding a “g” to the stem [like TENER – yo tengo] These verbs have.